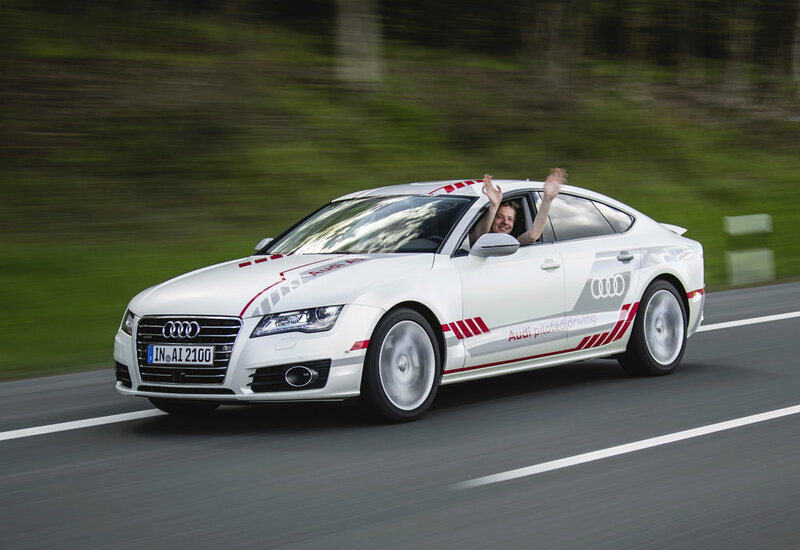 One year after the launch of the 'Digital Motorway Test Bed', Audi engineers have presented new technologies for piloted driving and Car-to-X communication at the German Federal Ministry of Transport. The Digital Motorway Test Bed is a joint initiative between the Federal Ministry of Transport and Digital Infrastructure, the Free State of Bavaria, the automotive and supply industry as well as the IT sector. On several sections of the A9 between Nuremberg East and Munich North, transmitters and sensors connect cars with their surroundings as well as with other vehicles. Audi is involved in six projects – three of which focus on structural measures and the remaining three on communication technologies. 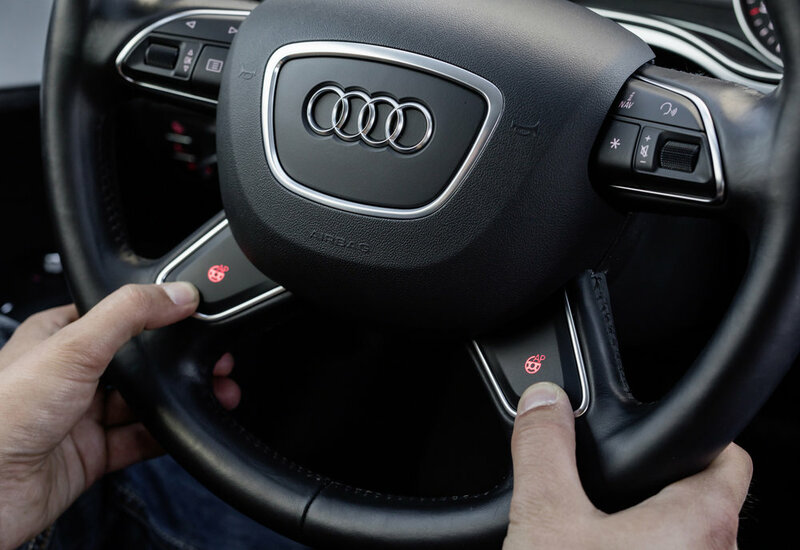 The focus is on online variable message road signs and infrastructure measures with Audi testing solutions aimed at delivering enhanced safety and convenience in piloted driving in real traffic conditions. The “Car2Infrastructure” communication project connects the car with variable message road signs that are online. These signs alert drivers by mobile connection to speed limits, traffic jams or lane closures, for example. As a first step, engineers have developed a universal interface with the display systems, which vary considerably from region to region. The information gathered is uploaded to the cloud via the mobile network, then transferred from there back to the test cars. 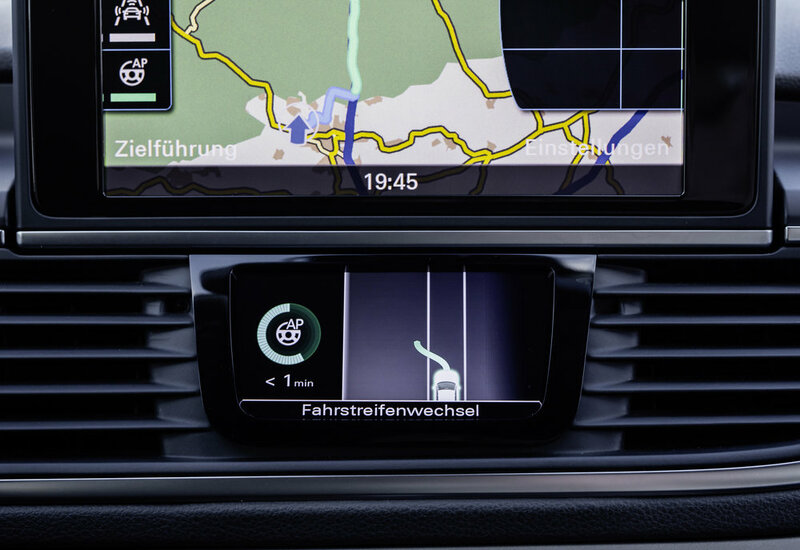 This arrangement supplies the car directly with information on new traffic situations – an indispensable part of safe piloted driving. Thanks to the future mobile communication technology LTE-V, the data transfer modules in the cars are also directly connected to each other, enabling car to car communication even in regions without mobile coverage. LTE-V also allows new safety functions such as black ice warnings and “platooning,” where piloted driving cars form an energy-saving convoy. In the third communication project, two sections of the A9 are being surveyed with centimetre precision and objects such as bridges, signs and road markings are being defined. These findings are fed into the HERE HD Live Map, which is being permanently supplemented and updated.